The Limassol sewerage system has been constructed in phases and will cover the entire area under the Board, from Zakaki to Moni, including all the hotels in the area. Work on the 1st Phase of the project began in May 1992 and was completed in early 1995. In the middle of 2004, in the framework of the expansion of the sewerage system, the Board completed its new investment programme for the 2nd Phase of the project (Phase 2a) which amounted to some €34 million. At the same time, a new investment programme (Phase 2b) was drawn up for the further expansion of the system at an estimated cost of approximately €325 million. · South of Spyros Kyprianou (previously Macedonia) Avenue, starting from the Linopetra area in a westerly direction as far as the crossing of Spyros Kyprianou (previously Macedonia) Avenue and Ayias Phylaxios Street. · All areas south of Archbishop Makarios III Avenue and Paphos Street, with Omonia Avenue as its western border. · The pipes network from Ayia Zoni to Mesa Geitonia and the Spyros Kyprianou (previously Macedonia) Avenue network. · Connection of the following government housing estates in Greater Limassol: Linopetra, Kapsalos, Makarios III, Ayios Athanasios, Tsiflikoudia and Omonia. · Omonia/Zakaki. As well as laying storm drain pipes in Milton Street, sewer pipes were also laid for future use. The Board has prepared a programme for further construction projects, aiming at the expansion and completion of all projects by 2018. · Expansion of the system, in particular of the secondary pipes so as to cover the whole area pf the project to the north and West of Greater Limassol. · Upgrading the most important installations on the system, such as the pumping station and the Moni Sewage Treatment Plant. · Carrying out anti-flooding works and expanding the storm drain system so as to put an end to the problem of flooding in certain areas. The total cost of the sewerage projects that remain to be undertaken by 2018, including those in Phase 2b, is approximately €263 million. · Expansion and upgrading of the central collecting pipe, which includes gravity and pressure pipes. 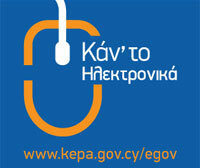 · Expansion of the sewerage system so as to cover the whole of Greater Limassol. This entails extending the main and secondary pipes throughout the area of the completed project and includes all the problematic areas to the west and north of the existing system, such as the centre of Ayia Fyla and the Ekali and Ayios Athanasios areas. It also includes the urban centres of the Kato Polemidia and Ayios Athanasios municipalities. Construction work has finished for ten contracts (Ε1, Ε2, Ε3, Ε4, Ε5, Ε6, Ε7, Ε8, Ε12 and Ε16Α) and are underway for contract Ε9. The Biological Wastewater Treatment Plant reached full capacity in 2005 and so its expansion was deemed urgent. Following the upgrading work, the plant’s maximum treatment capacity rose from 22,000 m3/day to 40,000 m3/day, while for an organic load it increased from 4,500 kg/day to approximately 15,000 kg/day. Construction work on the expansion of the plant, costing approximately €30 million, began in August 2006 and finished in September 2008. · Upgrading pumping stations F, H, B, C, D and Ε so as to cope with the increased inflow of sewage from areas served by the system. Work on contract Ε11 for the upgrading of the pumping station is currently underway. · Construction of a new pumping station for the new areas being served by the system. · Construction of a new Wastewater Treatment Plant to the east of the 1st Limassol Industrial Estate, with a capacity of 13,000m3/day. · Construction of anti-flood works in western Limassol to resolve the problem of flooding in the area. · Construction of a storm drain network in densely populated areas of Limassol. · Construction of three rainwater tanks as part of Limassol’s anti-flood measures.